While our online connections are more robust than they have ever been in this day and age, failure may be less common but can still absolutely happen. 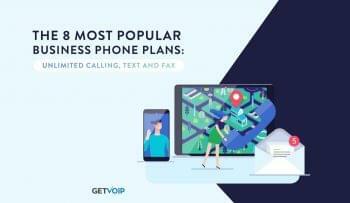 Since VoIP relies entirely on our internet connections to function, familiarizing yourself with common network trouble shooting as well as interruption or total outage causes can help resolve some of the easier connection issues a business might experience. 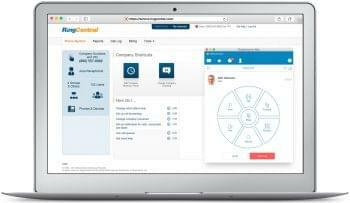 We’ve previously covered the most common implementation problems associated with establishing a hosted PBX solution, but as many have experienced the problems don’t necessarily stop once the system is up and running. It can take hours of configuration and fine tuning to ensure your system works to the best of its ability, to fulfill your businesses’ needs. Power outages, internet outages, bad network connections or even over crowding of a network can cause not only stutters, jitters and packet loss but also total failure of a network. Safe to say, any interruptions will have a negative impact on your VoIP calls, and in return on your business. With many businesses relying on their business VoIP networks as the primary source of communication to consumers, and even some inside communications, it is imperative to ensure your system never fails – but when it inevitably does, you can have it back up and running as soon as possible. Troubleshooting is all about starting with the simple, easy fixes and working your way up to the more complex solutions. Wireless is making its way into the business world very quickly, however, unfortunately we still rely on the hardwired connections many have grown to loath. 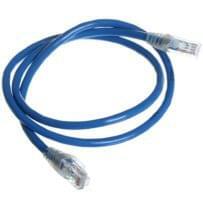 In a basic setup, for internet access a modem will be connected to its source via a cable, and the modem will be connected to a router via a cable, and your businesses computer’s will most likely be connected to the same network through a series of switches or routers, but again connected with cables. The last step, computers to network, might be done wireless but there will be without a doubt a cable somewhere in the mix at some point. So to start with one of the more simple causes of a poor, or nonexistent, network connection can simply be the cables used to connect your various hardware. So a logical place to start would simple be to check the connection of all your cables. While CAT 6 Ethernet cables are quicker, CAT 5 will do the job just as well – but that is if they are not damaged, or simply disconnected. Ensuring all your cables are not crimped and bent causing an internal break, or again simply disconnected from the source is one of the easiest steps you can take to check your network connection. Anyone who has called their Internet Service Provider knows the first few steps they will take in troubleshooting your connection is to check your cables, and ensure all necessary connections are made and no cables are visually damaged. Ethernet cables will plug in with a plastic jack, normally with a clip to keep them nice and snug – but these can very often chip or break off entirely allowing cables to come loose, or fail to stay connected. Depending on the size of your network, business and office this could be a lengthy or rather quick procedure, but if a cable somewhere in the network is damaged or unplugged any other trouble shooting will just be completely moot. Now this is where things can get a little more complicated. With a massive number of routers available on the market, it is impossible to precisely focus on the configuration steps and necessary trouble shooting for each model and variant. It is also far too common that businesses will be utilizing that old school router they had from 10 years ago, unaware that outdated hardware alone could simply be the cause of interruptions or a failed connection. When utilizing, and relying, on VoIP for your communications, it is imperative to ensure the use of not only a compatible router, but also the proper configuration and optimization of your chosen router. While most routers available will suffice, it is important to ensure your specific router has the necessary functions and configurations in place to optimize your VoIP connection, and allow the proper flow of data through the network. Again, while the specifics of every router configuration will vary, most of them will follow a similar setup and allow for mostly the same tweaks and changes. Again starting at the basics, along with checking cable connections one of the most common fixes for connectivity issues with your router is to perform a simple reset. Similar to turning your computer on and off again, resetting your router will clear everything out and give it a fresh start. Again while specifics will vary based on models, resetting your router can generally be accomplished by either pressing a Reset button, usually a small circular button that would need to be pressed with a paper clip, or simply by unplugging the router of call cables, waiting for a short 30 second to a minute period, and reconnecting the hardware. Upon booting back up and reestablishing a connection, you may find your internet now works without any of the previous hiccups. However, it isn’t always this simple unfortunately. A large majority of routers will have a Quality-of-Service feature, found within the router’s management interface and simply helps optimize the data traffic, and ensure enough bandwidth is available for your calls. QoS configuration can normally be found within your router’s specific management interface. Some routers aim to keep this super simple, and let users simply adjust their QoS by selecting the proper category – normally labeled in a similar fashion to Voice, Gaming, Video or Applications, or simply adjusting the priority of each category – in this case we would want Voice, Calling, VoIP or anything similar set to the highest priority level. Other, more slightly complicated methods, require users to obtain the Media Access Code, or MAC Address of their specific devices – in this case normally phones – and input these addresses into their router’s configuration, so the router knows to prioritize data going to and from these devices. Again, this will vary based on your specific router, but step-by-step tutorials can be found in either the user manual of your device, or through a quick google search of your Router name and model, as well as configuration setups. While most routers will come with a QoS feature, it is entirely possible your device is lacking this specific function. In this case, you can rely on the old-fashioned port forwarding technique to open up the necessary, prioritized, channels for your devices. Again, you will need to obtain the MAC addresses of your phones (this will vary, but is generally as simple as looking on the back of the physical phone or navigating through the phones on-screen settings menu) in order to assign a port to the device. 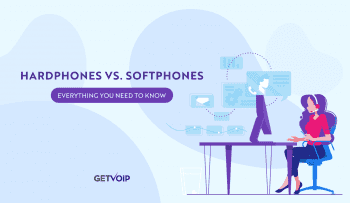 The process requires users to specify what port, or port number, they will use for a device as well as the specific protocol – in our case this should be UDP for VoIP calls but might vary based on specific device and use case. This port will then be assigned to that one specific device, and could not be reused for others – but you can simply open more ports, one for each device. If you are in the market for a new router, and after attempting some common trouble shooting techniques you might identify this as being the weak link, it is important for VoIP to use a dual-band router. 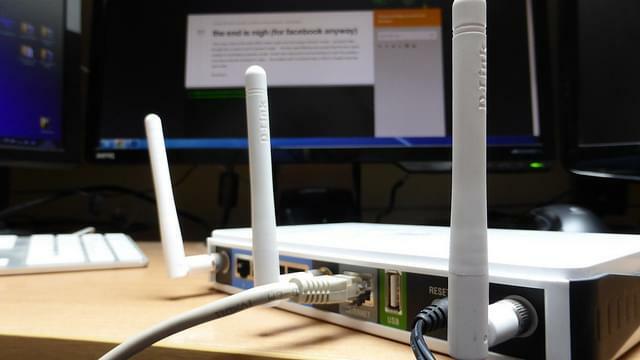 Dual-band routers are capable of transmitting both 2.4 and 5GHZ frequencies, so users can as sign wireless clients to use the different bands for different use cases, helping to avoid network congestion. With 5GHz being the faster frequency, your data can flow with less interference, and could act as a dedicated channel for only your VoIP communications. While packet loss will not be responsible for total network failure, it is one of the more common causes for dropped, interrupted or just plain choppy VoIP calls. Defeating packet loss can be out of our hands if the issue is on the service provider’s end, but understanding the problem and its cause can help users to track and nail down the cause of their interruptions. Identifying Packet Loss can be as simple as utilizing a third party test, which will analyze your network speeds, and how much data is lost when transmitting through the network. The most common cause, as addressed previously, would be network congestion – if your employees are using the network to do more than just make VoIP calls, things can easily come down to a quick halt. Bad hardware and cables can cause packet loss of course will interrupt the flow of data, and relying on slower WiFi alone could simply be the root of all your issues. 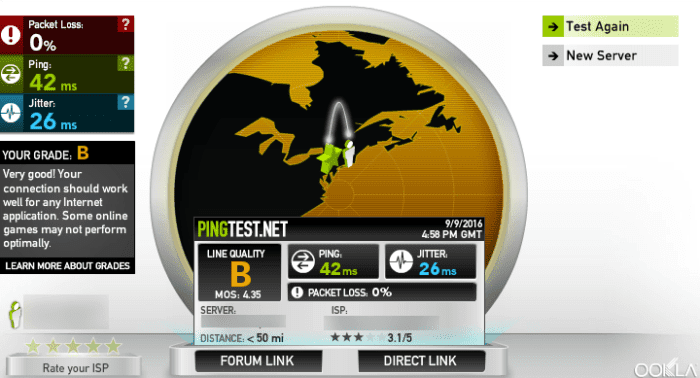 To better understand how to identify and defeat packet loss, take a look at our in depth guide. Sometimes, no matter how much trouble shooting you attempt, the problem is simply just out of your hands. Unfortunately, we rely on other companies to provide us with the necessary services to make VoIP a reality. When your internet connection goes down completely, and there are no issues with your connections, modem or router, the problem could simply be on the ISP’s end. While redundancies help ensure services stay up when one data center goes down, outages are still a fairly common occurrence and an entire network can be taken down very quickly. Recognizing when its time to call your ISP or even VoIP provider could save you a load of headaches, and a massive amount of downtime. Troubleshooting on your own can usually weed out the more common culprits of interruptions and down service – there isn’t much your ISP can do about a damaged, or simply unplugged cable. However, if after attempting to reconfigure your router, check all of your cables, reconnect your phones and establish ports for each device you are still unable to make or receive any communications, most of your headache can be solved by simply contacting your VoIP provider or ISP to take a look. If all of your connections are solid, you’ve tried resetting your router and possibly even modem, and your office still cannot receive an internet signal it is absolutely time to give your ISP a call as most network issues will be on their back end, as opposed to your office connections.